If you’ve found a great domain for a good price and you’re thinking of flipping it for a profit, you likely already know that it’s going to take a lot of work and a lot of time before you create something that’s worth selling at a high price. If you’re a “flipper” then you’re essentially creating little mini businesses all the time. A big part of this is, of course, SEO. The SEO importance is two-fold: One the one hand, you need to build SEO for the website. While some may think at first that SEO is the way that buyers are going to find your domain, this isn’t usually the case. Buyers will find your domain by searching on GoDaddy or another hosting platform, not Google. SEO is therefore more important because it will help drive up the value of your website. It’s the way you’ll earn natural links, which means more visibility on search engine pages, which means a higher readership, which means a website with some serious authority and power. On the other hand, if you’re flipping a website that chances are that the website has terrible SEO that you need to fix. In many cases this is why a website is so inexpensive and in a place to be flipped in the first place. Of course recovering from past SEO penalties is a huge, time-consuming job. For this reason SEO really needs to come first before you even consider changing your design or adding new content (in other words, the fun stuff has to come last). So where do you even begin when it comes to SEO? Hopefully before buying the website you evaluable it for SEO and take a look at all of its past penalties, which you can learn more about here, but even if you didn’t, there are places you can start to help things run smoother. Your first step is going to be fixing any negative or bad SEO that your website gained in the past. Again, it’s going to take a while to see results, but the faster you can get started with the cleanup the better. Remove unwanted on-site and internal links. 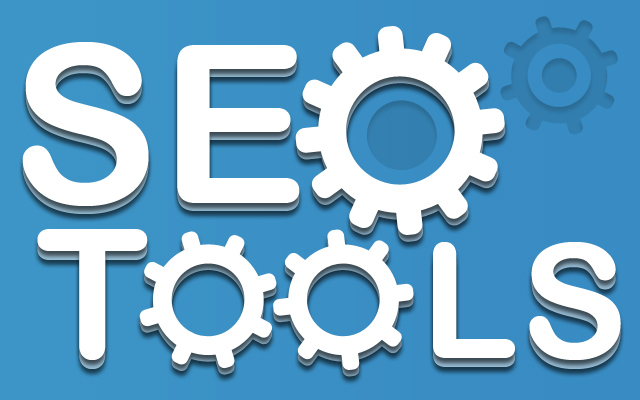 Use a tool like the Link Analyzer Tool to do a link audit within your website. Start by removing any broken links. Then, go through and try and remove any internal links that are linking to spammy websites. This will be time consuming, but you should only have to do it once. Do a link audit to remove unwanted backlinks. Use a tool like OpenSiteExplorer to remove any links that are pointing back to your website that are spammy. You should do this by first trying to remove the links on your own by talking with the editor, and if that fails then using the Disavow Links tool from Google. Solve any navigation issues. Part of improving navigation is internally linking correctly, using a breadcrumb or related articles plugin, making sure no page takes more than 4 clicks to reach, and overall just keeping things simple. You can learn more about this point here. Submit a reconsideration request. Keep in mind that this is only for manual action penalties (not algorithm penalties like Panda and Penguin). Still, if you’ve made changes and you’re ready for Google to get you back in good standings, this is crucial. Visit here to learn more about reconsideration requests. Redesign your website with quality design. Now comes the fun part. Keep in mind that you don’t want your SEO to disappear when you do a website redesign, which is why it’s helpful to do this after you’ve cleaned up the site but before you’ve built up a lot of SEO juice. Publish high-quality content. Consider hiring a writer to help you create quality content. Also try not to limit yourself—different content types such as videos, inforgraphics, interviews, and more are a great way to stay engaging! Promote your content on social media. Start building up your social media profiles to help you build a community of relevant readers and start building up your presence here. Perspective buyers will definitely be looking to see if this has been established. Work to establish meaningful connections. Great SEO is all about the connections and relationships you make in the industry. Learn how to make this happen here. Earn backlinks for your content. You can make this happen through guest blogging, offering reciprocal reviews and working with your connections, and hopefully earning natural links through all of your SEO efforts. Do you have any experience flipping a website? Did your website have a lot of SEO issues? What did you find to be the most difficult part, and what advice do you have for those looking to get into flipping domains? Let us know your story and your thoughts in the comment section below.